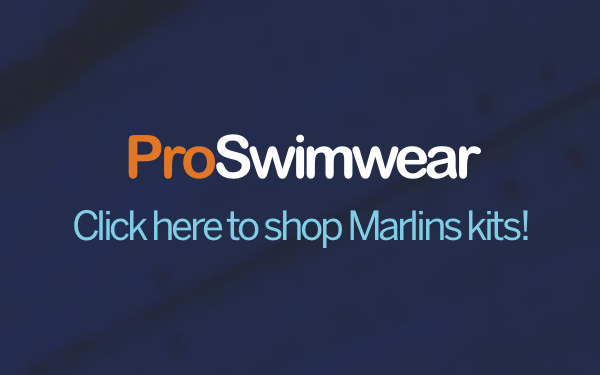 It was a great start for Mid Sussex Marlins Masters 2019 competitive year at the South East Region Masters Long course competition on 19th-20th January. The turnout of 26 swimmers contributed to the atmosphere, winning individual 23 golds, 24 silvers, and 19 bronze medals. Despite so early in the year, a massive 28 individual club records were broken, the standard ever rises! 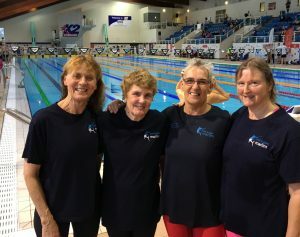 Entering 12 relay teams demonstrates the strength and depth of Mid Sussex Marlins Masters swimmers and a stunning result in the Womens’ 280+ years’ 50m freestyle landed a new British record for the team consisting of; Mary Johnson, Jenny Dean, Sally Mills and Alison Gwynn. In all the relays clocked up a further six golds, two silver and four bronze medals, with 2 club records. It was particularly pleasing to have had a good turnout from the men. Three mens teams triumphed with two firsts and a third placing. Stand-out male swimmer Steve Braine broke his own club record twice, also winning with five individual golds, one silver, and taking five club records. Other multiple gold medalists were Alison Gwynn, Gina Hobson, Mary Johnson, Sally Mills. 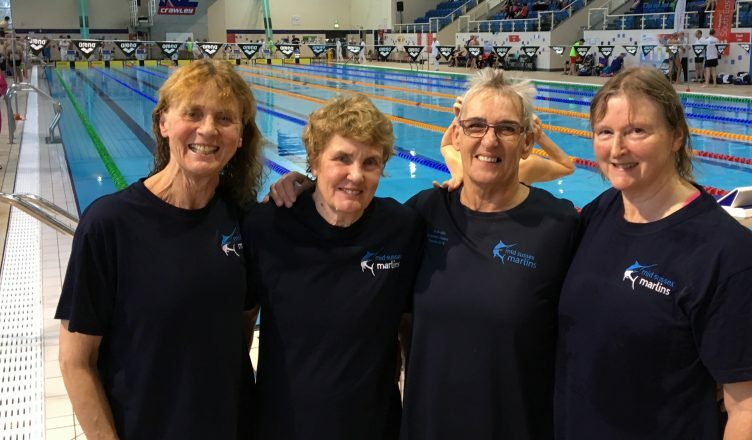 Gold winners included Victoria Oliver (200m IM), Jill Rocky (200m freestyle), Clarissa Tilley, (100m butterfly) Coral Wallis (50m butterfly) Lisa Mills (200m breaststroke), Rose Dudeney (200m IM), Mark Salway (400m IM). 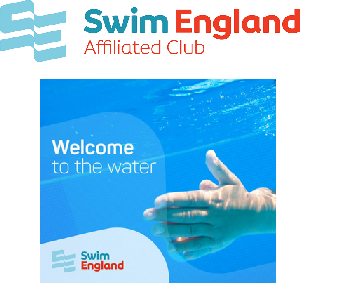 A host of further medals, personal bests and club records were achieved by; Kathy Bidnall, Claire Chilton, Sarah Davison, Teresa Stringer, Ann Gale, Matt Disney, Richard Arthur, Simon King, Graham Lock, Criag Mayhew and Matt Record. These results have spurred and inspired Masters into ever more serious training for forthcoming competitions.